The length of time to create a website depends largely on the client’s needs. A small brochure-style website takes considerably less time to build than a large e-commerce website. Response and feedback from the client also plays a role. Once your needs are analyzed, you will be given an estimated time frame for completion, based on a reasonable response time from both parties. YES! We have very affordable web hosting plans that will give you peace of mind knowing our security is top notch. No matter what your needs are, we have a plan for you! The number of people viewing websites on smartphones, laptops, and tablets gets larger every day. That is why we do our best to ensure that our websites look good across various mobile platforms. Generally we provide this service at no extra charge, as we want your website to look good to the world the day it is launched, regardless of the device it is being viewed on. YES!  We have been in business in Southwest Florida since 2012, we are part of the community, so we know just how to design each site specifically to you. Just schedule an appointment to meet with us and we will gladly help you with your needs.